The Manitoba government is writing off the second of two loan segments that helped finance a new stadium for the Winnipeg Blue Bombers of the Canadian Football League. 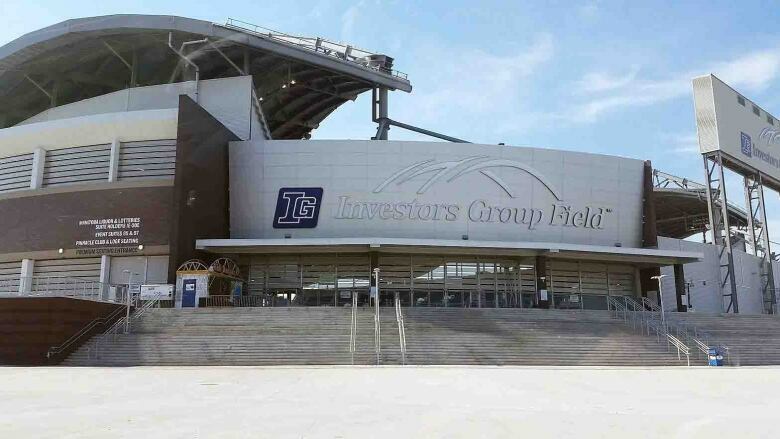 Premier Brian Pallister said Wednesday there is no reasonable chance that the Bombers and others in the consortium that owns Investors Group Field can repay the $82 million. "Despite the best efforts of the team on the field last year, where they profited to the tune ... of over $2 million, that wouldn't even come halfway towards the obligations the [former NDP government] set up for them," Pallister said. The province has already written off another $118-million loan portion that helped get the stadium built in 2013. Finance Minister Scott Fielding said the new loan writeoff will affect the final deficit figure for the last fiscal year, which is to be revealed later this week. Investors Group Field has faced challenges since the beginning. There were cost overruns and repairs needed soon after it opened. Commercial development on the old stadium site, which was to help pay for the new facility, stalled. The Bombers were given a break on loan interest until this year, and the interest payments at current rates would work out to an extra $4 million in annual costs for a facility that hosts 10 regular season games each year and a handful of other events such as concerts. Pallister accused the former NDP government of arranging the loan agreement knowing it would have no chance of success. NDP finance critic Matt Wiebe said Pallister failed to provide any documents Wednesday to back up the idea that the loan cannot be repaid. He said Pallister may be talking up financial difficulties to set up the public for government spending cuts. "It is a bit of political theatre that we're seeing here," Wiebe said. "We do know that this is simply a distraction by the premier to justify any kind of cuts that are coming up." Pallister said the Bombers may continue to make some payments, but the payments are not expected to be large enough to pay back the principal of the loan. In a statement, the Bombers said that "to date, the Winnipeg Football Club has met its financial obligations with respect to the stadium, in accordance with the Management Agreement with Triple B Stadium Inc."
"The Club has made cumulative annual excess cash payments totalling $17M to Triple B and will continue to meet its financial obligations," spokesperson Darren Cameron said in the statement. They anticipate making minimum but not maximum payments going forward, and will be looking at other ways to collect fees to make annual payments to Triple B possible. "The Winnipeg Football Club agrees with the Province that the current model is unsustainable and is not viable over the long term. We look forward to working with the Province and other stakeholders to arrive at a viable long-term solution for all parties," the statement concludes. The Progressive Conservative government, elected in 2016, is making other financial adjustments that will hurt its bottom line. It is adding $22 million in liabilities for environmentally contaminated sites and $30 million in writeoffs for loans to social service agencies that haven't been repaid. 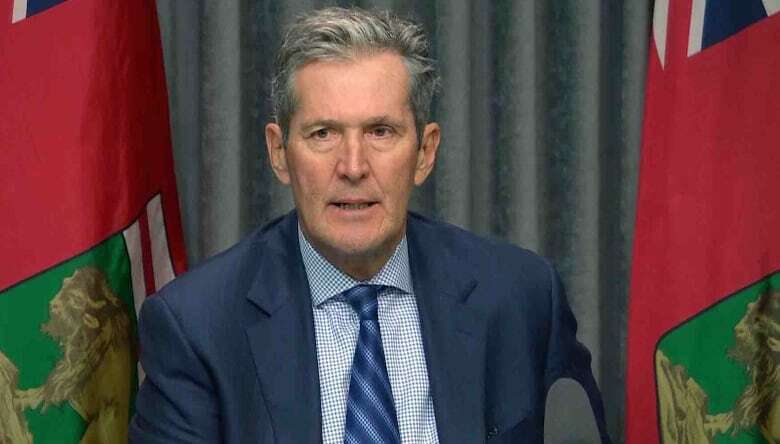 Pallister said the changes are needed to make the government's finances transparent, and while they will add to the province's red ink, he remains committed to balancing the budget by 2024. He also stood by his promise to cut the provincial sales tax by one percentage point by 2020. "We are dedicated to keeping our word in every respect," he said. The government originally predicted an $840-million deficit for the fiscal year that ended in March, and the final, audited number is due out by the end of this week. An earlier version of this story said the government originally predicted a $521-million deficit for the fiscal year that ended in March. In fact, the number is $840 million.